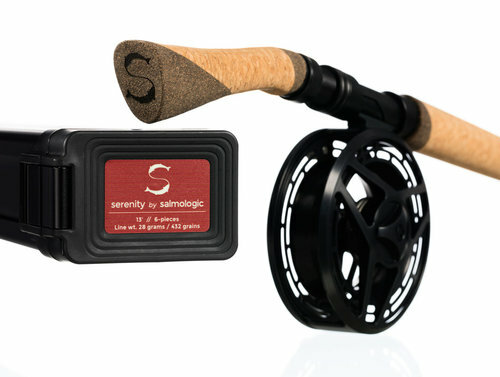 The13’0” 28 grams/432 grains serenity is equipped with an action that could be described as fast, but the fact is that it really has a deep short stroke length, where all the power comes from the lower parts of the rod. This type offull-action spey rod will handle sinking lines as if they were floaters – a quality we appreciate in a true salmon rod. We have spent countless hours on this blank due to the fact that 28 grams/432 grains is most likely the best all-round weight for salmon fishing in medium to larger rivers in the summer. At the same time, it is perfect for both steelhead and large sea trout streams as well. This will always be a legendary size.